Booker has a cbub page? Excellent! I mean he technically loses but no way alucard counts as street, so its Booker for the win for me. Who's basically walking talking Deus Ex Machina, is Street Level? Yowch. Not a good first draw for my glorious Team BioShock. Oh well. VOTE BOOKER EVERYBODY! I'm tempted to based on your convincing argument. Same here. That's basically how I'm voting on any match with a non-street in it. I'll give you all the cookies under the sun. To be far though we are going by Serge's Definition of Street Level, in it he even stated a character like Wonder Woman would be given an "okay" so there really isn't anything to blame for people not choosing your definition of Street Level other than you not reading. 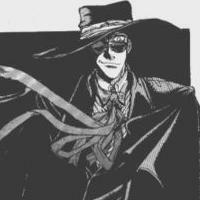 If you want to actually debate instead of tossing bias then Alucard is who you should vote for. Also I'm totally up for debating this with AVP if he's game. Is is how it works though? Doesn't it work however I think it works, since I can vote however I want? The way I understood it, the 'definition' was more like a guideline, a short warning to avoid the uber-powerful and aim for more street worthy fare. And alucard definitely breaks the spirit of street level, if not, but probably also, the letter of it as well. I'm pretty sure he's immortal, able to regenerate after being not just decapitated, but damn near disintegrated as well, and once took down an entire aircraft carrier. Though he flew a plane into it first, which may have something to do with it. Still, pretty much immortal and invulnerable. I read and disagreed a bit with the definition. It is my opinion that street level characters shouldn't be at a level where they can trade blows with guys like Superman. I know it's not the definition stated, and yes I'm voting on that bias. Oh well. In a rumble, I go with Alucard. For a tournament of street levelers, Booker. "When we say Street Level, we mean that the character is usually portrayed as fighting battles at the human "Earthly" level and are not the type which destroy planets (or flatten major cities for that matter) with a wave of their hand." By that definition, Superman, Goku, and the Death Star are technically ok. But the thing is those were banned, and the limitations for the characters wasn't the label Street Level, Serge obviously got that wrong, the guidelines for what characters should be chosen was what should've decided how characters should be chosen.It's not like this was snuck in Serge passed it. Also going by those guidelines Goku and the Death Star would specifically not be okay. Aaaand we have our first stomp match of the season. Ouch. I think Bulma vs Iceman was posted first. I would have to disagree with that; in the description it already said Wonder Woman would be given an okay, so it wasn't exactly being snuck in that Street Level isn't even really Street Level. All I'm saying is that you can choose to vote based on the tournament, and the match or you can choose to vote on whether or not you think that the Tournament should conform to your definition of Street Level; the latter just happens to be a bias choice. If anyone would like to debate me about the match I am totally game. 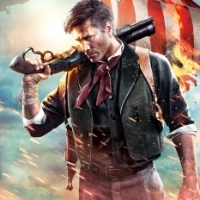 I'll even fight for Booker if no one plans on supporting him. I'm pretty obviously going to lose cause of spite votes, so I would atleast like to debate someone for this.